Check out what zoinkity found inside the ROM. 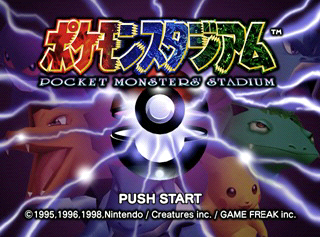 The first game in the Pokémon Stadium series which was only released in Japan. Unlike the sequel, Pokémon Stadium (known as Pokémon Stadium 2 in Japan), it only featured 42 Pokémon instead of the full 151 first generation Pokémon. An expansion disk for Pocket Monsters Stadium was planned, but was never released. The following error codes can be triggered supporting its existence. 41 DEVICE_COMMUNICATION_FAILURE N64 Disk Drive or N64 Control Deck may not be connected properly. 43 POWERONRESET_DEVICERESET_OCCURED N64 Disk Drive may have broken down. 44 RAMPACK_NOT_CONNECTED Jumper Pack may be left in N64 Control Deck. As with the other two Pokémon games, there is code to display the rarity on the Pokédex Map. The rarity will be displayed as percentage, yet it is not accessible during normal usage. To see this, use the Gameshark code 8016D877 0001 on the Pokédex Map screen to expose this. While the next title did have support for team battles, this game was also planned to have team battles too, but was never finished on time. Needless to say, some code for the team select menu still remains in the game. This display shows the current CPU usage, RCP usage, and memory usage with graphical meters and numbers. 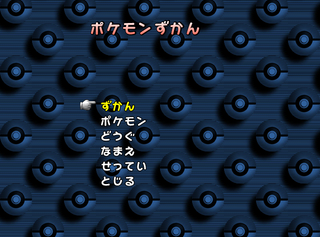 A very barebones menu for the Pokédex was left in the game. Most of the options don't function anymore and will send you back to the title screen. This page was last modified on 9 September 2018, at 12:42.